This entry was posted on January 30, 2019 by Goplasticpallets. 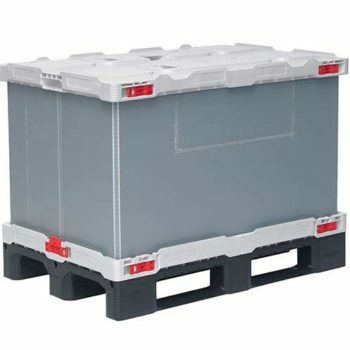 Designed by Belgium-based plastic pallet and pallet box manufacturer Smart-Flow, the new Trip Box boasts a stronger, more robust pallet base; a lockable pallet base and lid to secure the pallet sleeve in place; a durable, injection moulded lid – in contrast to the original thermoformed lid; and the option to choose from different sleeve thicknesses. Quick and easy to assemble and disassemble, the new, improved Trip Box is comprised of three components – a recyclable plastic pallet base which measures 1200mm (L) x 800mm (W), a sturdy but lightweight plastic sleeve and a durable plastic lid. When assembled the new Trip Box has a storage capacity of 516 litres and can be stacked and stored safely up to four boxes high with a maximum load of 1600kg. 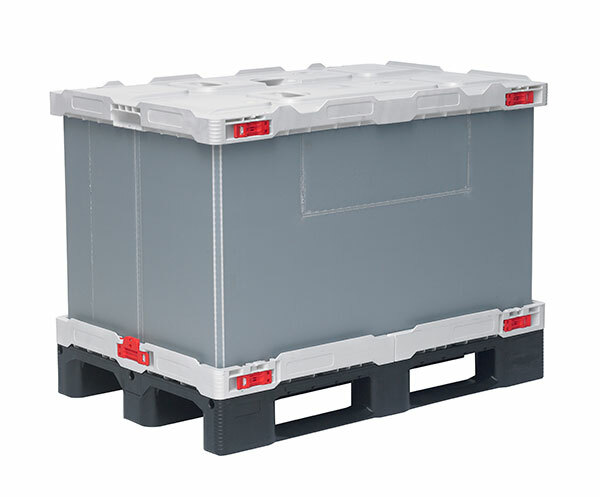 When not in use the multi-use pallet box folds virtually flat – the plastic sleeve slots into a groove around the pallet edge and the lid locates easily on top. In folded-down mode, the Trip Box can be stacked up to eight boxes high, saving considerable space in storage as well as reduce costs on return journey trips. Just some of the applications the Go Trip Box 1208 Ultimate 3R Trip Box is currently being used for include car parts, electronic components, retail goods and pharmaceuticals.